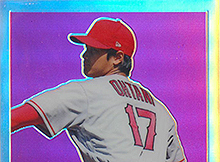 This is a review of 2018 Leaf Originals Metal '48 Trading Cards. 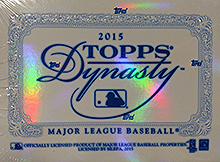 This is a review of 2015 Topps Dynasty Baseball Cards. 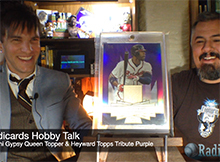 This is an image gallery of Frank Thomas cards from 2018 Leaf Metal Sports Heroes. 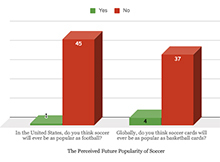 Here's how collectors perceive the marketability and collectibility of soccer. 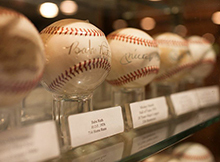 In this episode, we discuss a variety of baseball cards from 1998 we feel are minimally discussed. 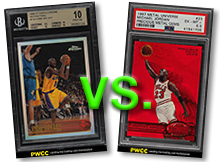 Jordan Red PMG or Kobe Refractor? Collectors were surveyed on which card they would prefer to own. Here are the results. 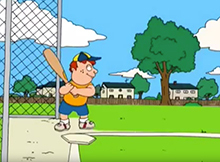 In this podcast, we talk about the first minor leaguer from Sri Lanka and a whole lot more. Have a listen. 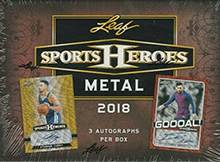 This is a review of 2018 Leaf Metal Sports Heroes Trading Cards. In this podcast we discuss The Beer Box Find and a whole lot more. Have a listen.